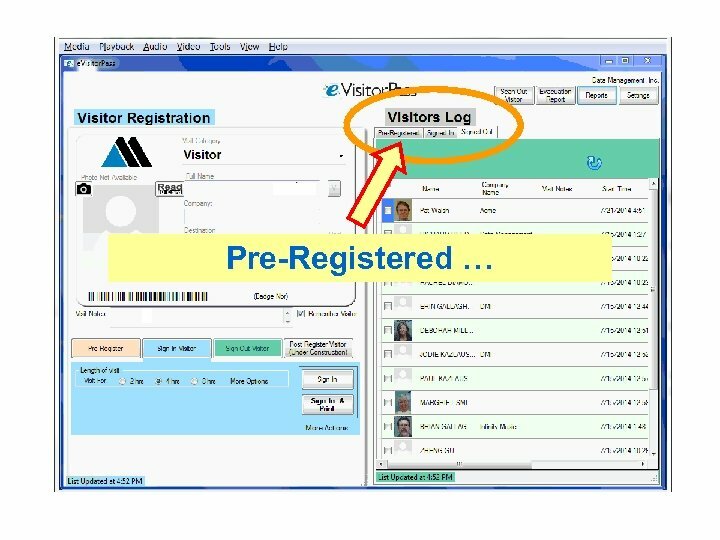 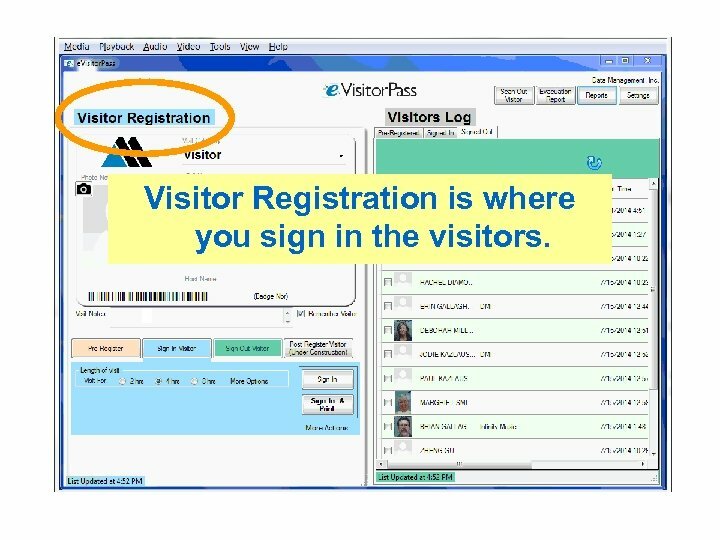 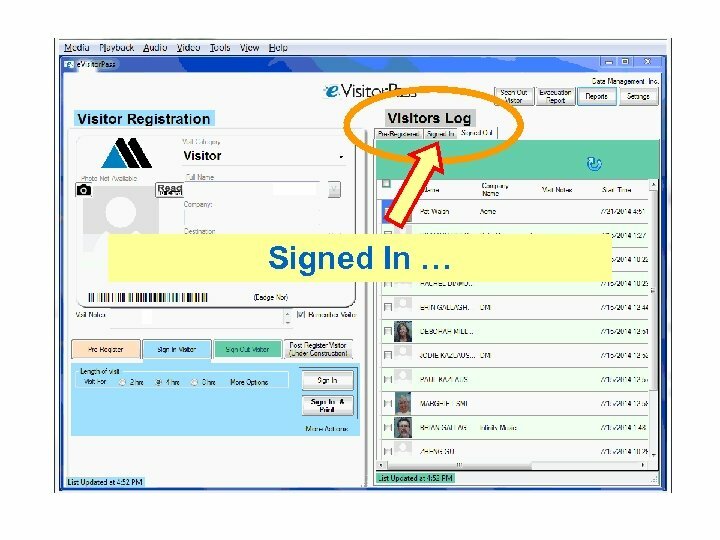 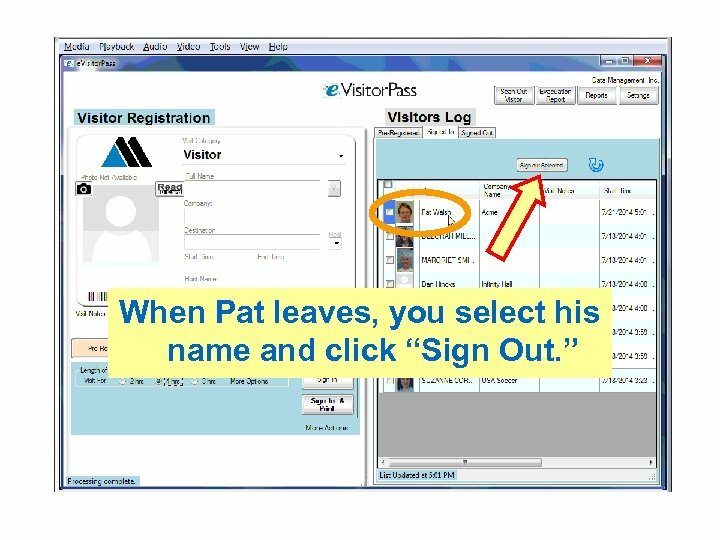 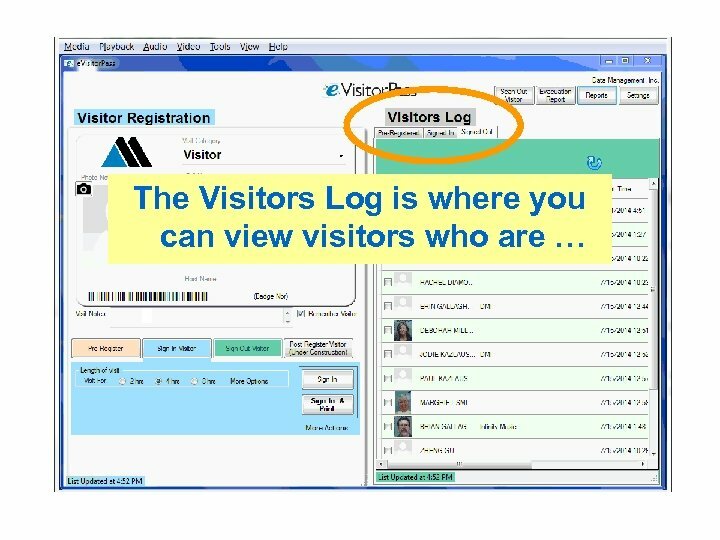 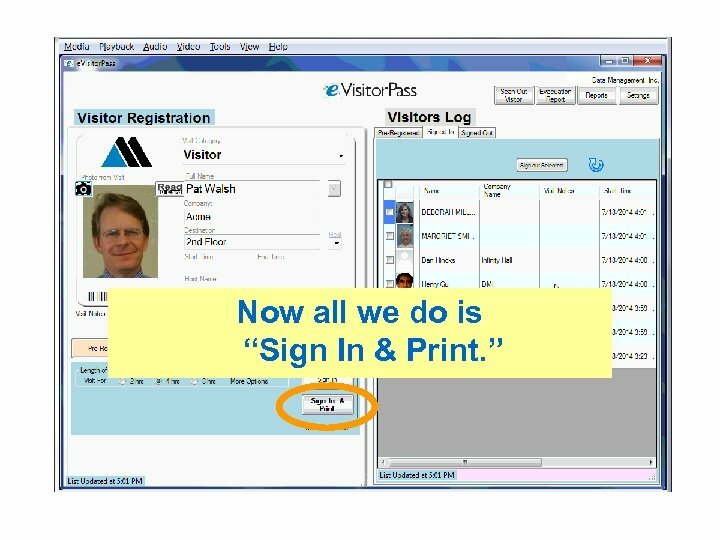 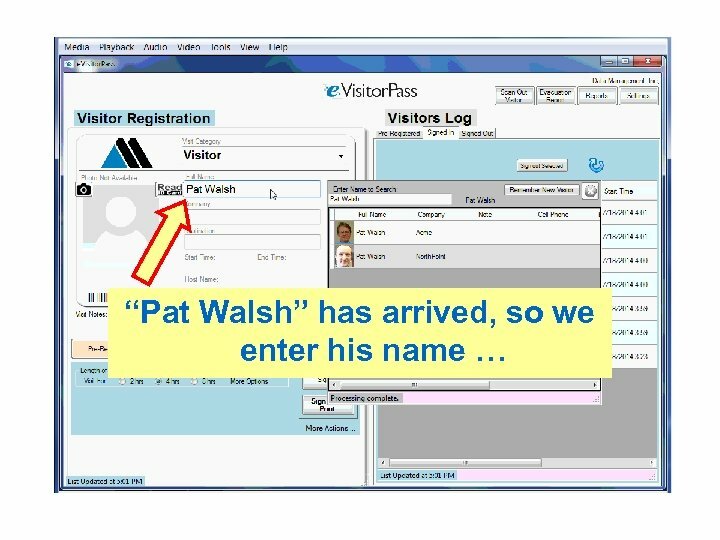 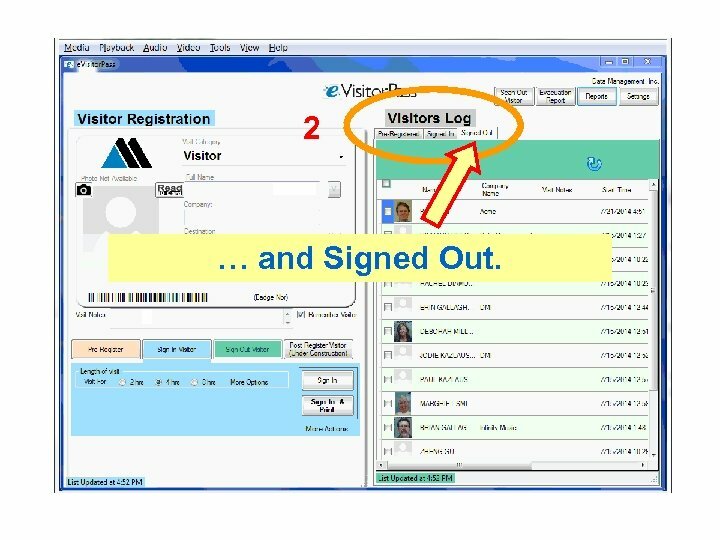 Visitor Registration is where you sign in the visitors. 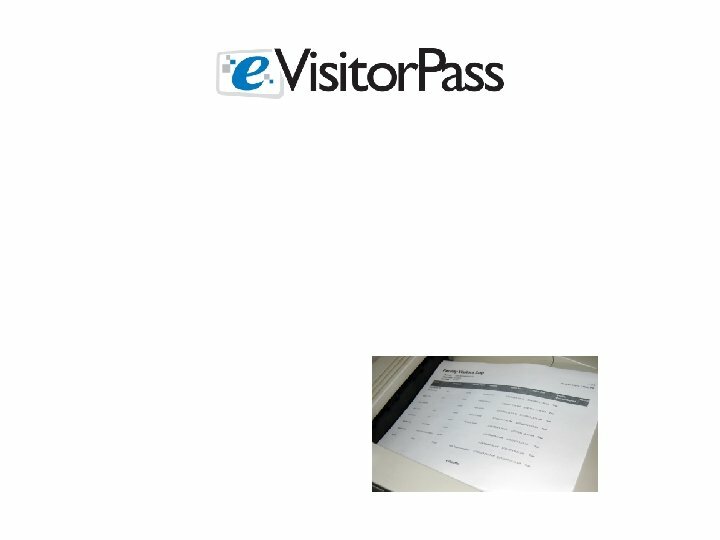 2 … and Signed Out. 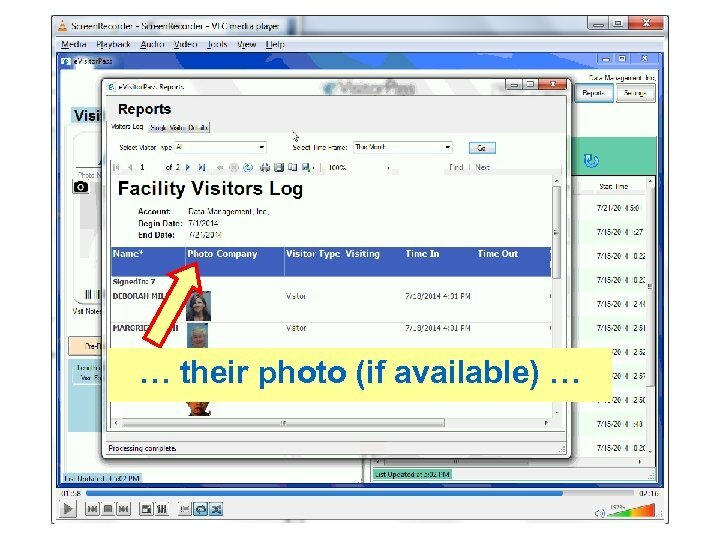 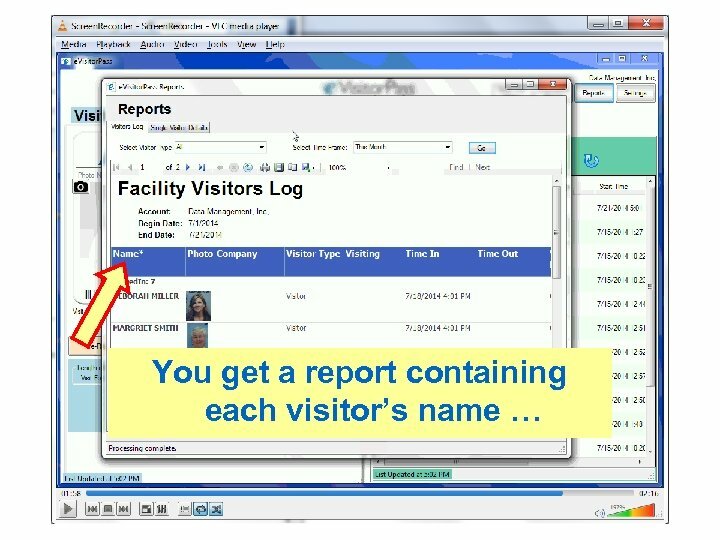 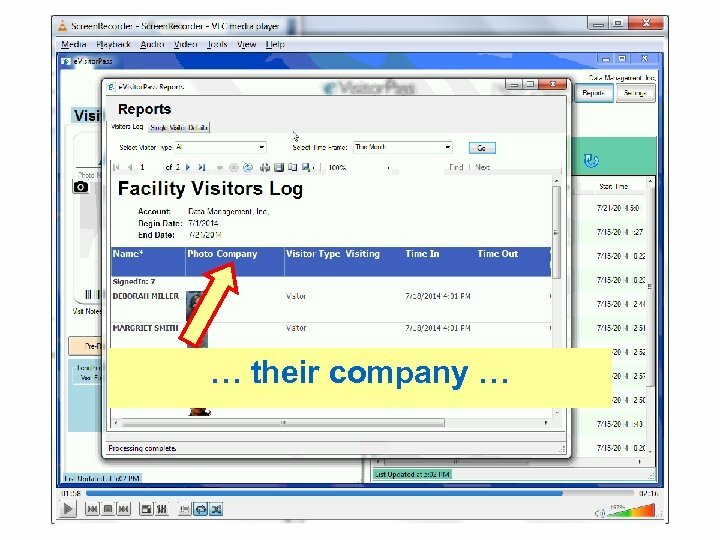 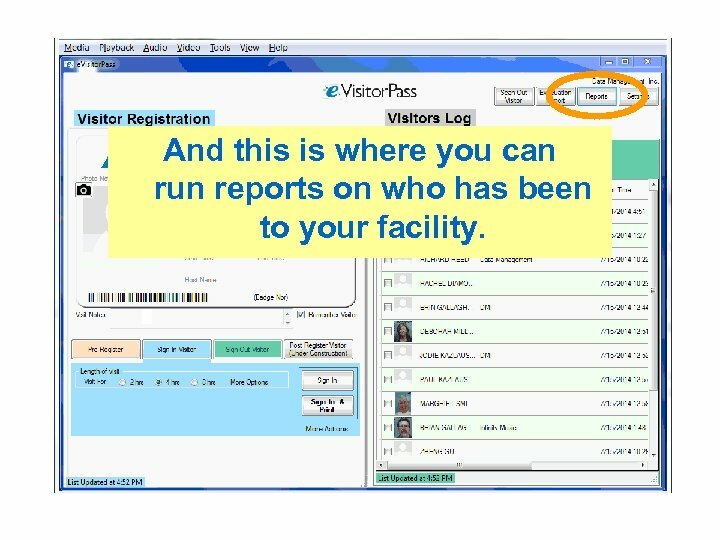 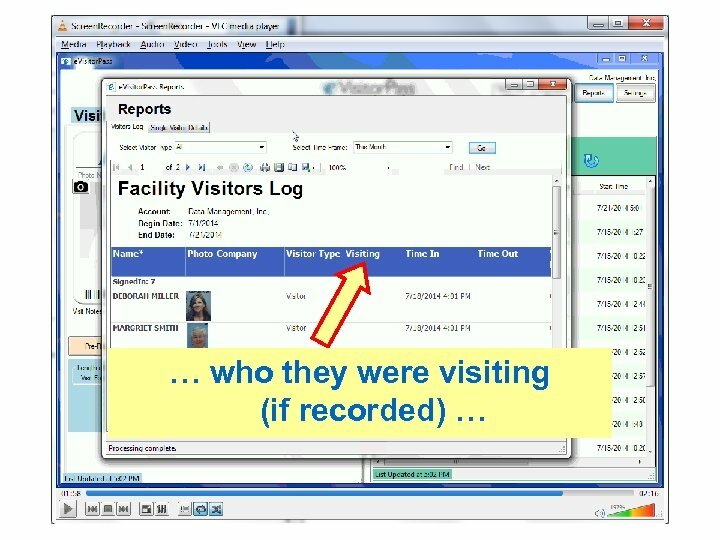 And this is where you can run reports on who has been to your facility. 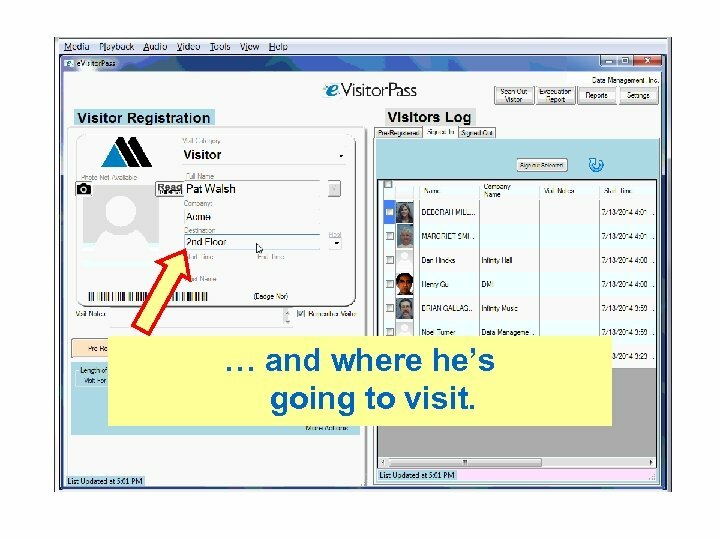 … and where he’s going to visit. 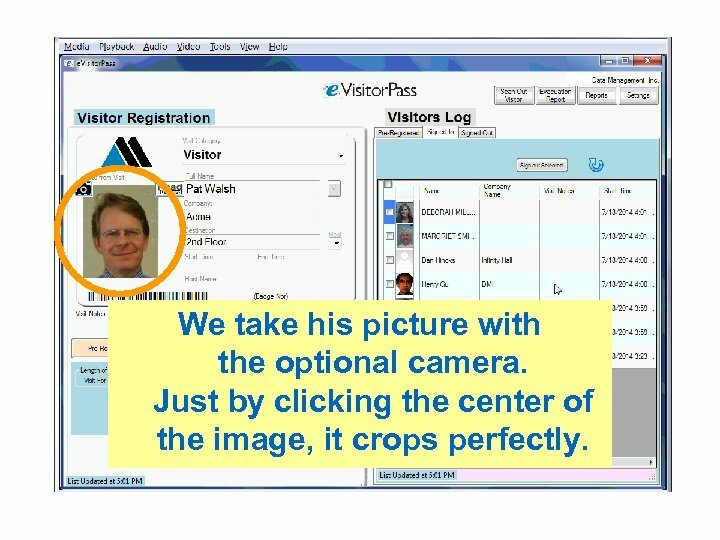 We take his picture with the optional camera. 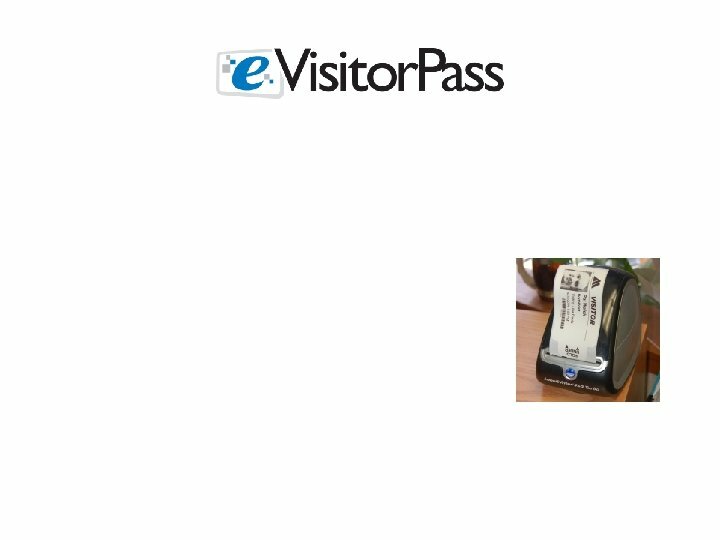 Just by clicking the center of the image, it crops perfectly. 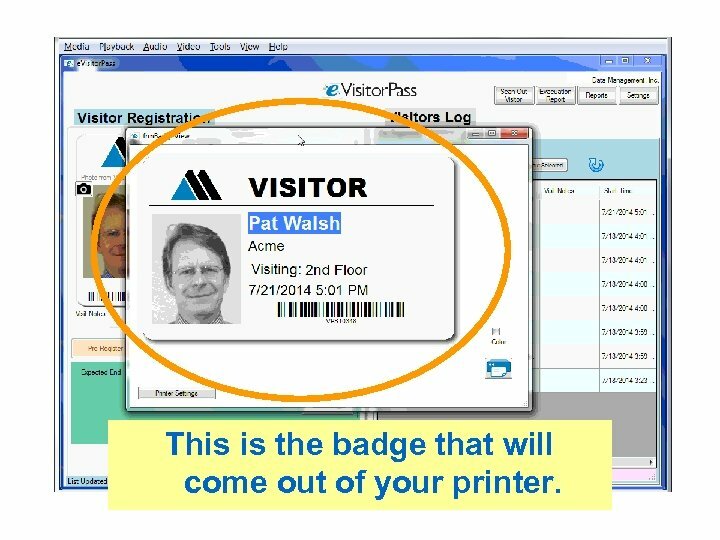 This is the badge that will come out of your printer. 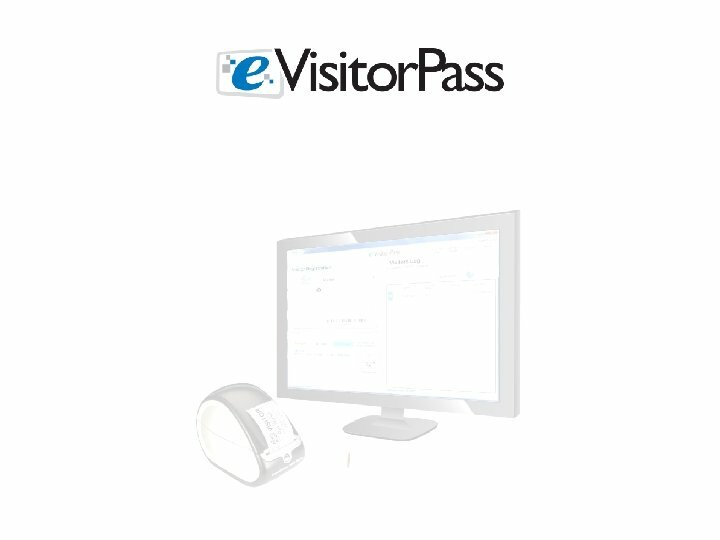 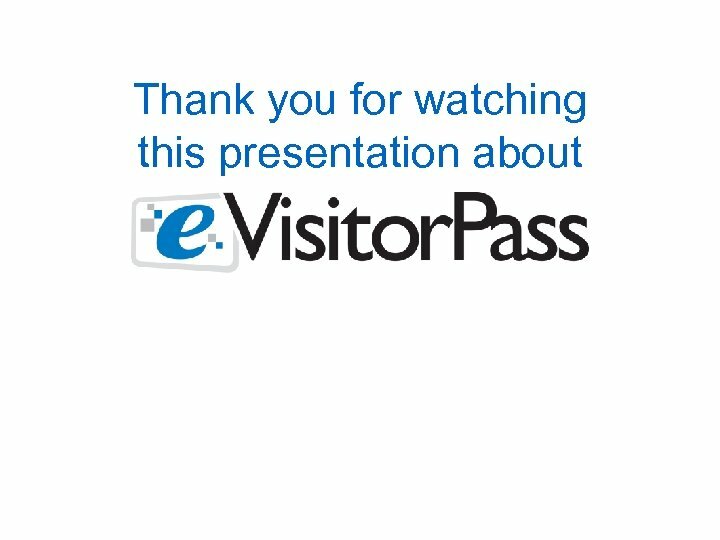 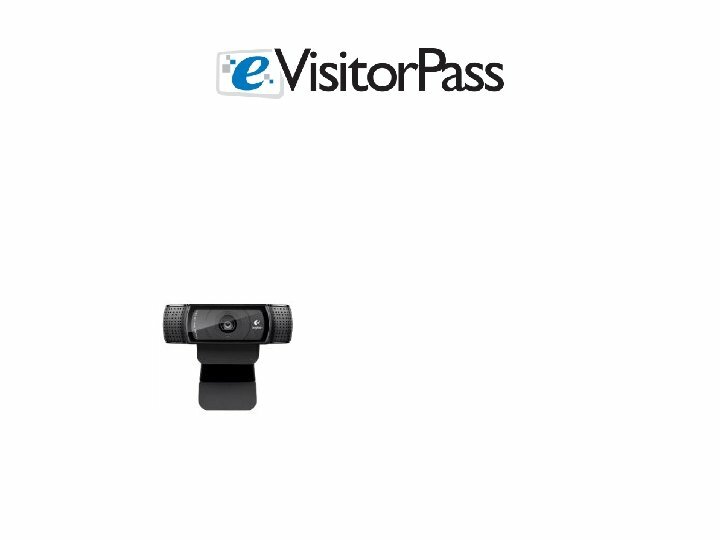 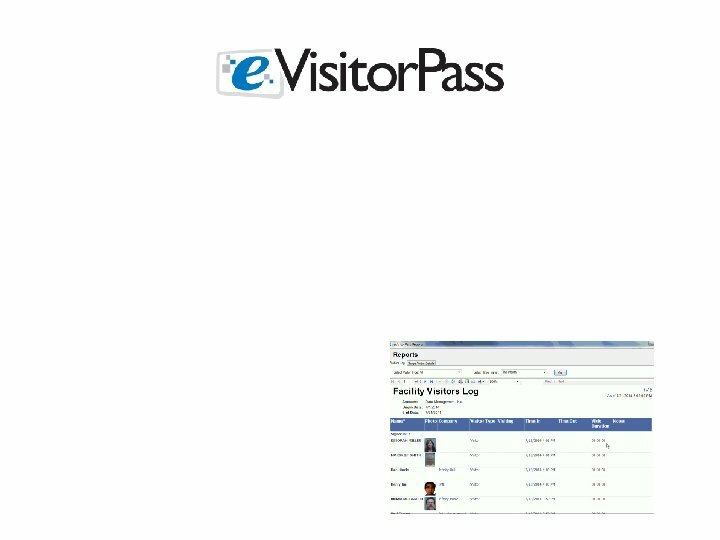 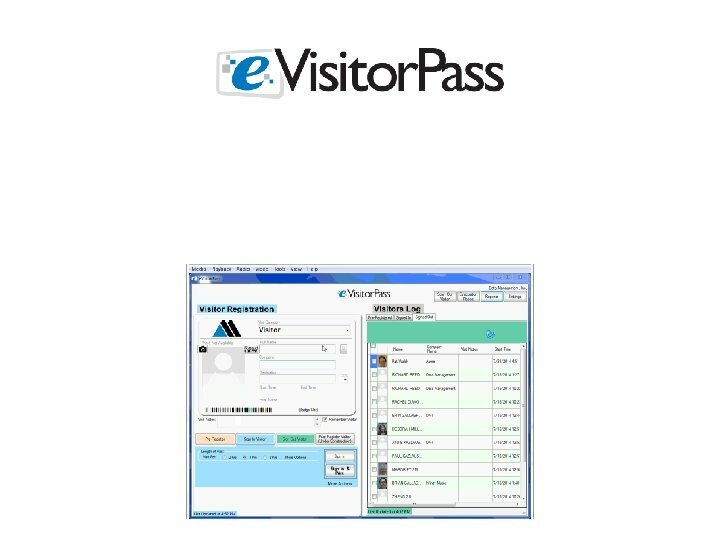 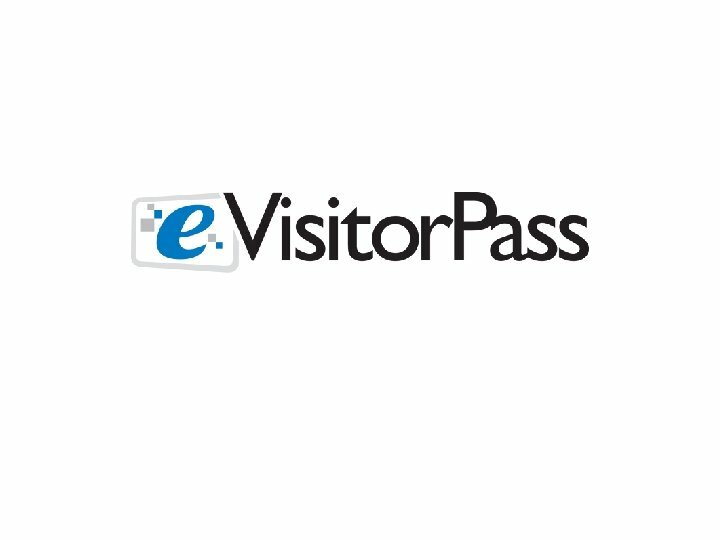 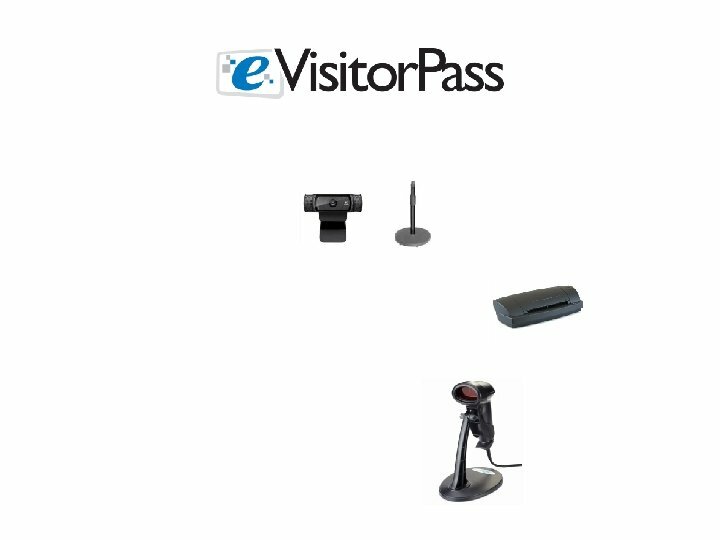 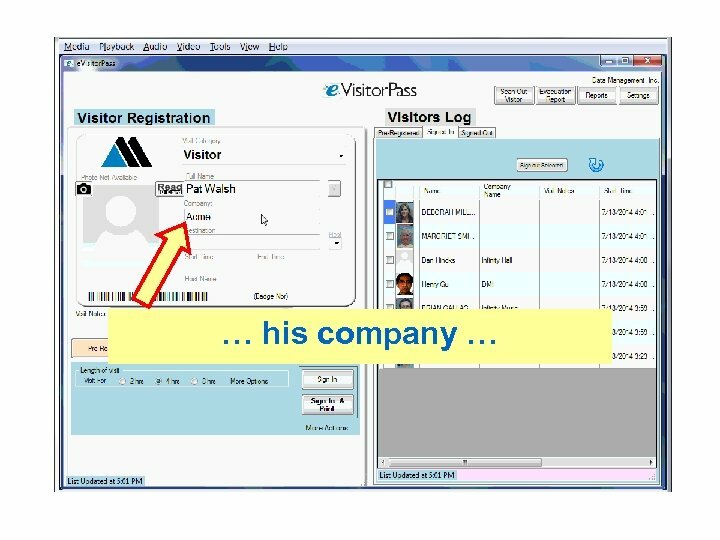 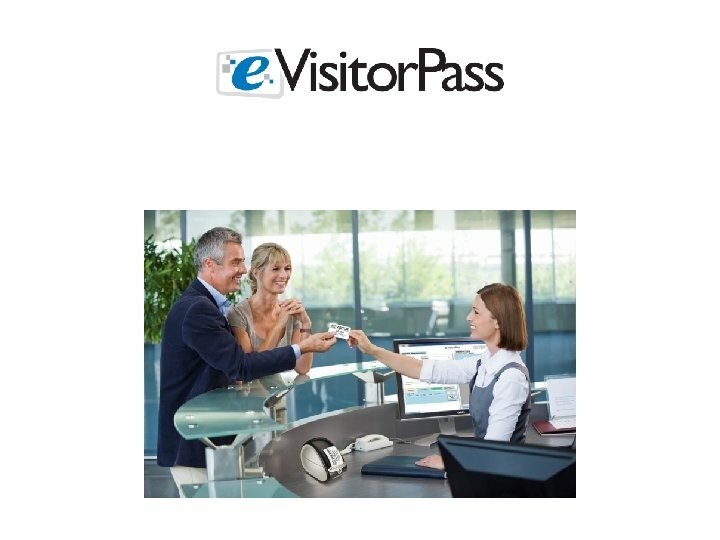 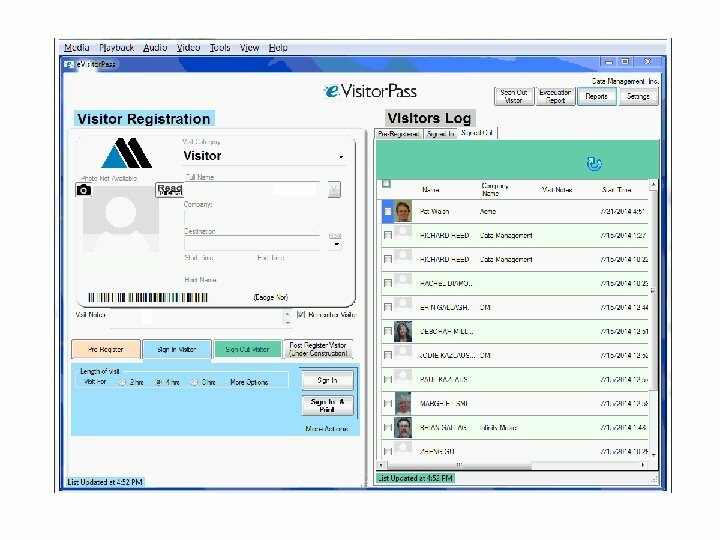 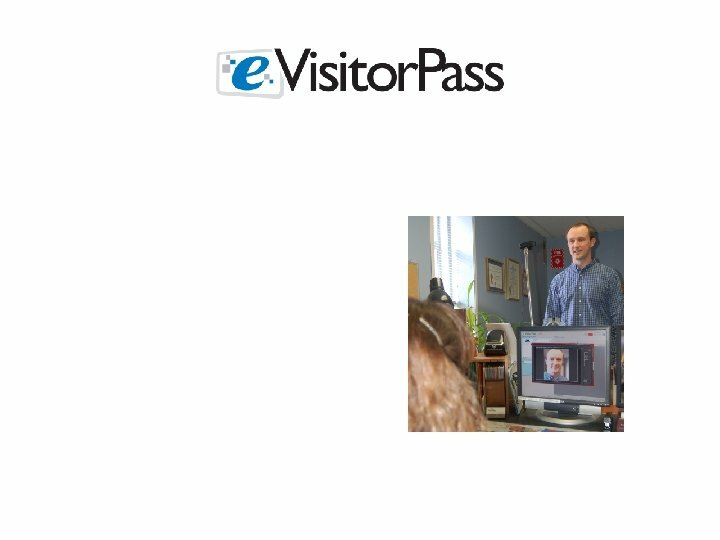 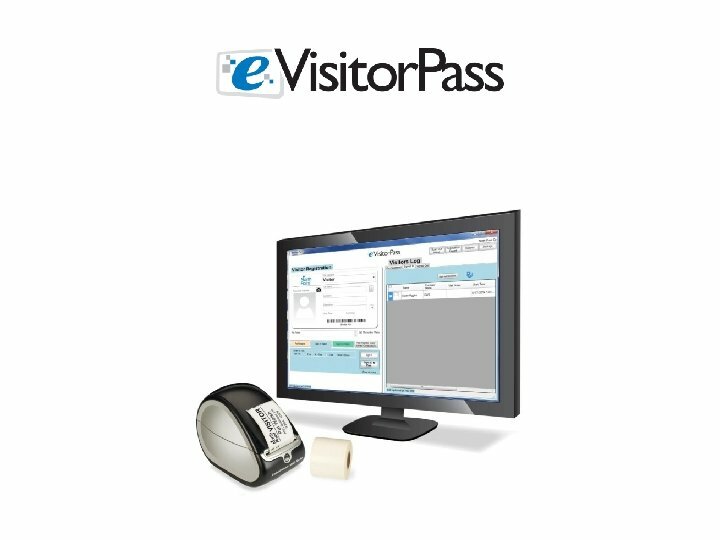 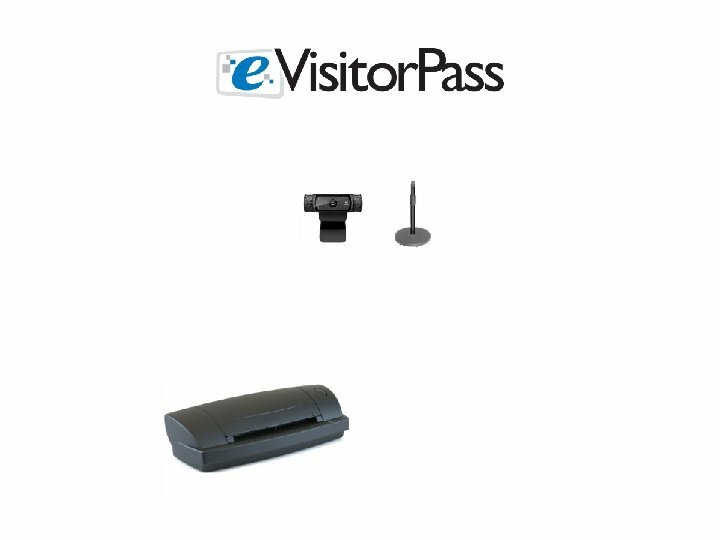 Optional time-expiring technology makes e. Visitor. 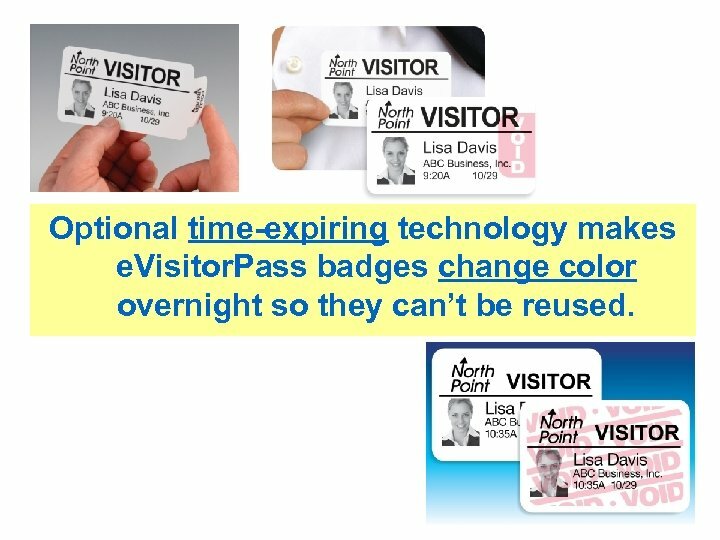 Pass badges change color overnight so they can’t be reused. 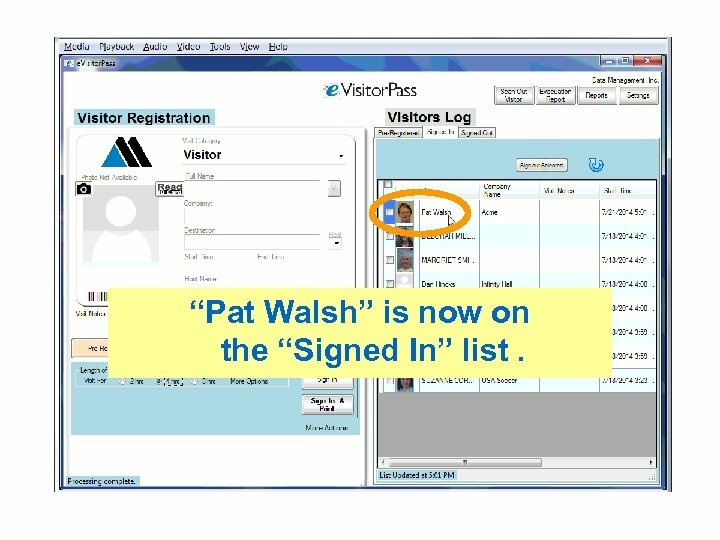 “Pat Walsh” is now on the “Signed In” list. 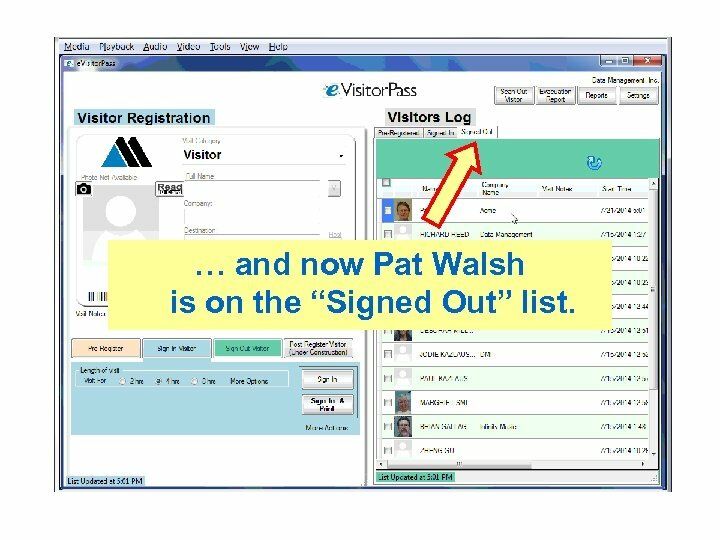 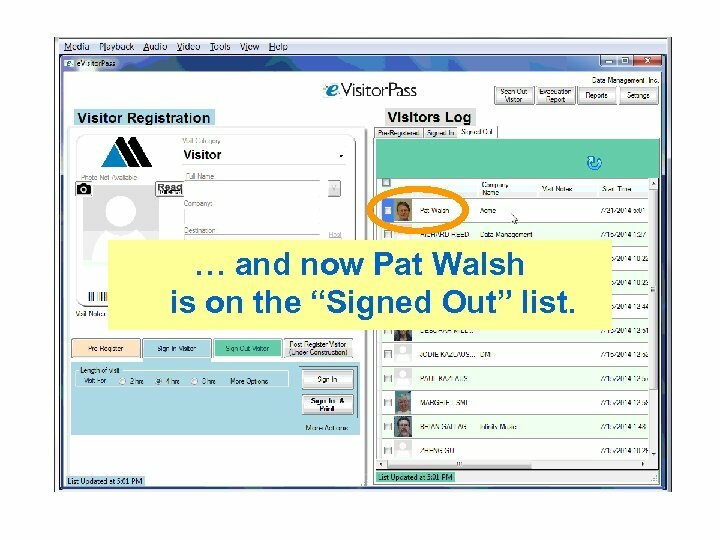 … and now Pat Walsh is on the “Signed Out” list. Let’s say you want a list of who has visited so far this month. 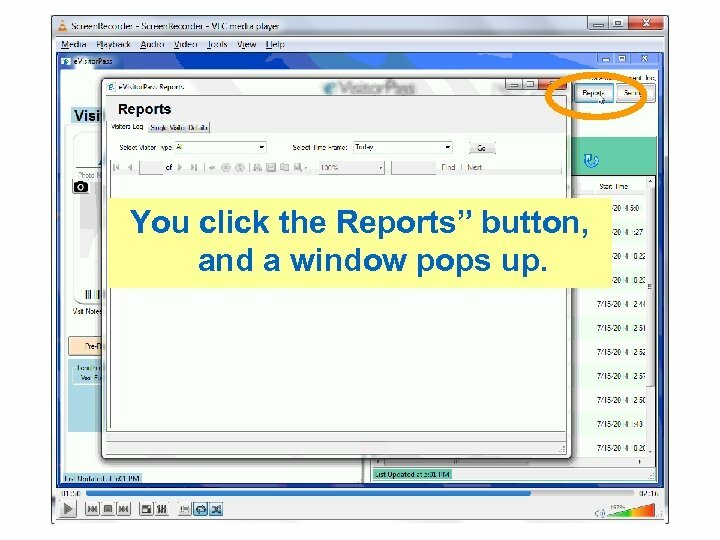 You click the Reports” button, and a window pops up. … the time they arrived, the time they left, and so on. 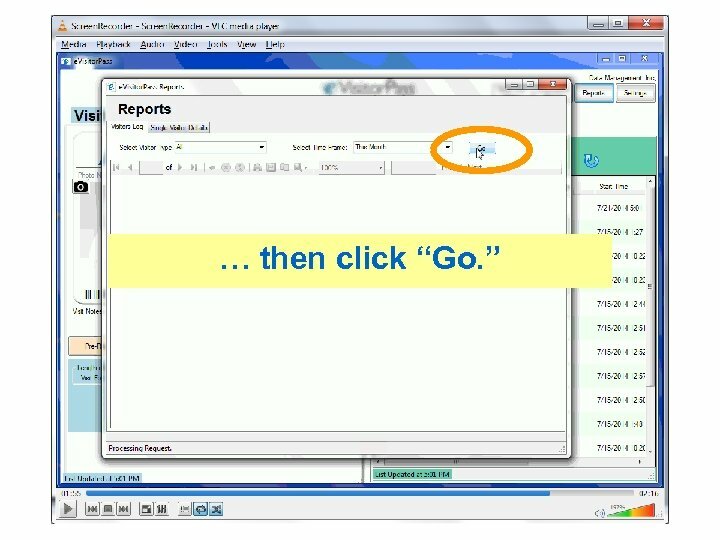 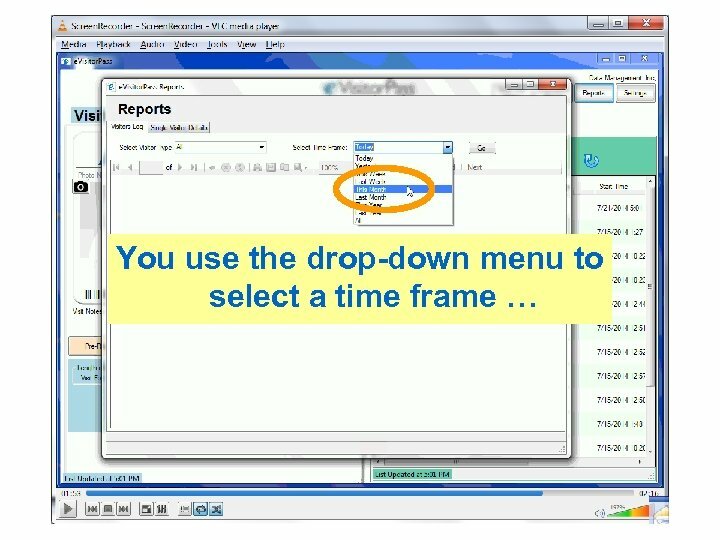 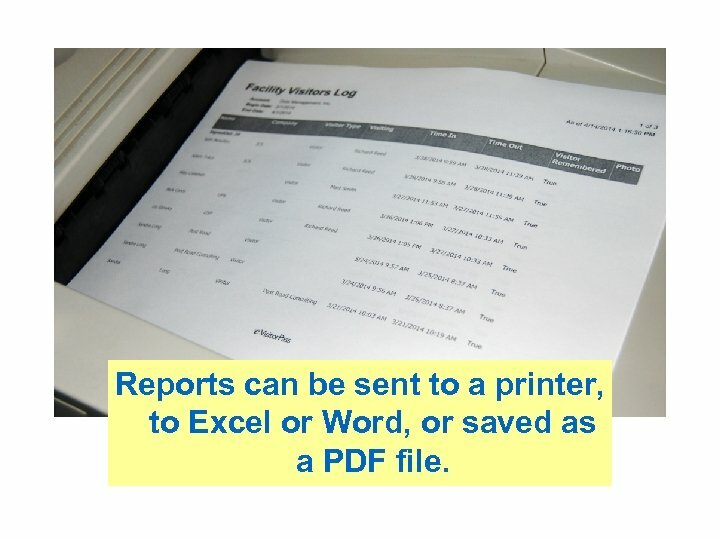 Reports can be sent to a printer, to Excel or Word, or saved as a PDF file.